On another Colts blog (Stampede Blue), there has been quite the controversy about whether Curtis Painter should be our 2nd string QB (or even if he is a viable NFL player). Some like Tom Brandstater, who was cut and is now on the practice squad. I think that this reflects the opinion of the average fan in Indy. I have watched Painter carefully both this year and last. I actually *really* like him as a NFL QB and I think he could be a starter someday. When I watch him this preseason, he is in command of the huddle, sets up quickly, and he gets the ball out on time - usually accurately. He is mobile and has a strong and accurate arm. Anyone who judges him on his performance at the end of last year when the team pulled most of the starters, really isn't being fair. You could have put Drew Brees in that situation and had the same kind of disaster. I'll detail why in subsequent posts, but in short I'd have to say that the Colts were playing back-ups where possible, they were not game-planning in any serious way, and the teams they played were highly motivated to win. As for Brandstater - he looked OK too. 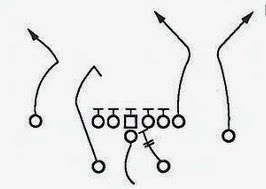 He was coming from a completely different kind of offensive system, and did OK based on that. Looks to have a good arm.